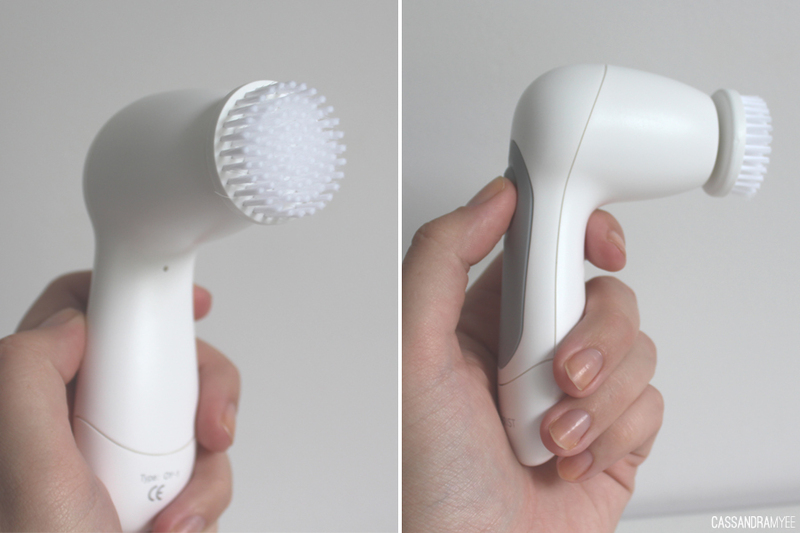 I've been thinking about the Clarisonic for a while but was not prepared to fork out about $200 for one, so when this offering from Olay came out I bought it almost instantly. 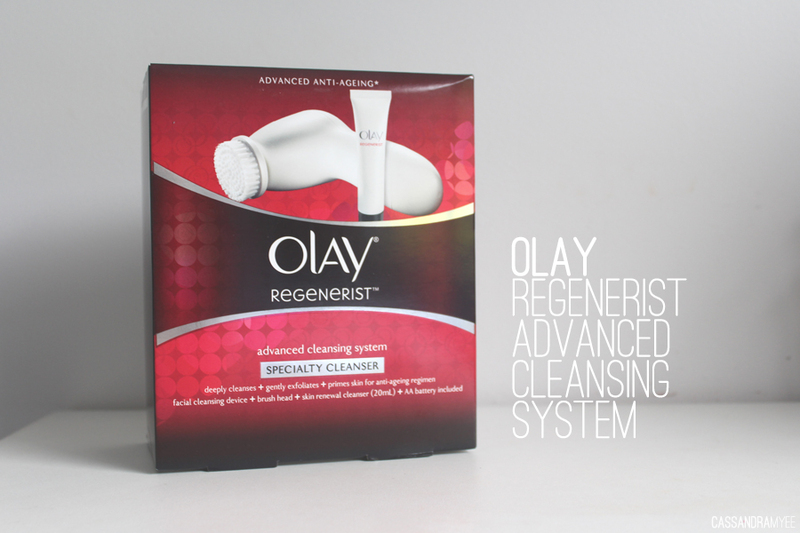 It is called the Olay Regenerist in NZ and the Olay Pro-X in America, but they are the exact same product. Ultimately it is an advanced cleansing system helped to thoroughly deep cleanse your face, more effectively than traditional cleansing with your hands or a flannel. I've been using this for almost 4 months now and it has been an absolutely amazing step in my cleansing routine. The kit comes with the electronic casing, one brush head, two AA batteries and a 20ml sample size of the Olay Skin Renewal Cleanser. Once the batteries are installed the whole system becomes waterproof, so you can use it in the shower. You can use it morning and night but I just use it in the evening when my skin really needs a deep clean and light exfoliation, especially after wearing a full face of makeup each day. The brush is a very compact size and it fits well in my hand. It is very simple to use and has two buttons; the larger one turns the system on and off and the smaller one below it changes the speed (there are 2 speeds). I use it almost every evening; I wet my face with warm water and then rub whatever cleanser I am currently using all over my face, wet the brush head and turn it on. It recommends you use it for 60 seconds moving it around the face. I generally use the fastest speed for the outer area of my face, especially my chin and neck area (where I am most breakout prone) and work in strips, letting the circular movements do all the work. For around my nose and cheeks, I turn it down to the slower speed as it is a bit more delicate around that area. I then rinse the head off and the cleansing process is all done! This works great with all sorts of cream and gel cleansers but doesn't work as effectively with a foaming cleanser. 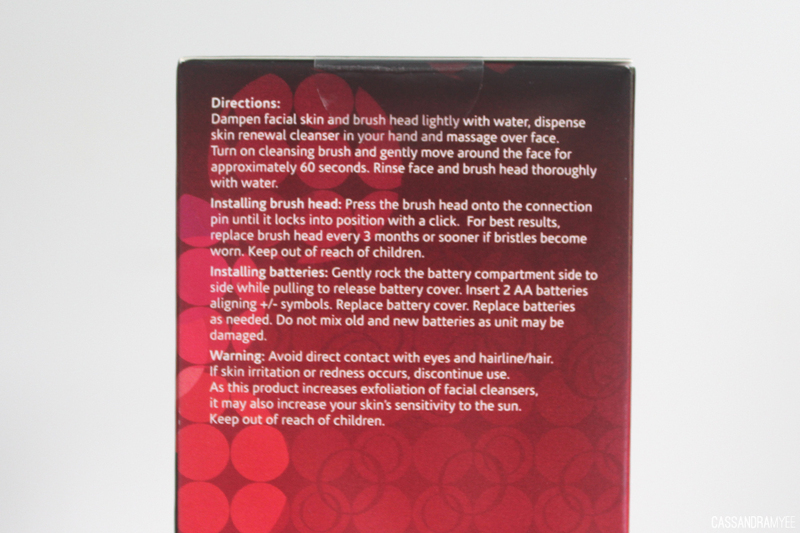 I also would not advise putting the cleanser directly on the brush because things get very foamy, very quickly. I had never used this type of electrical cleanser before, and this one has made a huge difference to my skin. I used to get very frequent breakout on my chin and cheeks, and although I thought I was cleansing my face really well, it was nowhere near as effective compared to using this system. Using this in conjunction with my skincare regime (that is finally working its magic) I have been getting less frequent breakouts and the ones I do get are not as severe and they heal up much quicker. I could not recommend this cleansing system enough, especially if you suffer from bad acne. The cleanser that came with the kit is the Olay Skin Renewal Cleanser. When I bought the kit, Farmer's were having a deal where you got the full size cleanser for free (usually NZD $17.95 to buy). 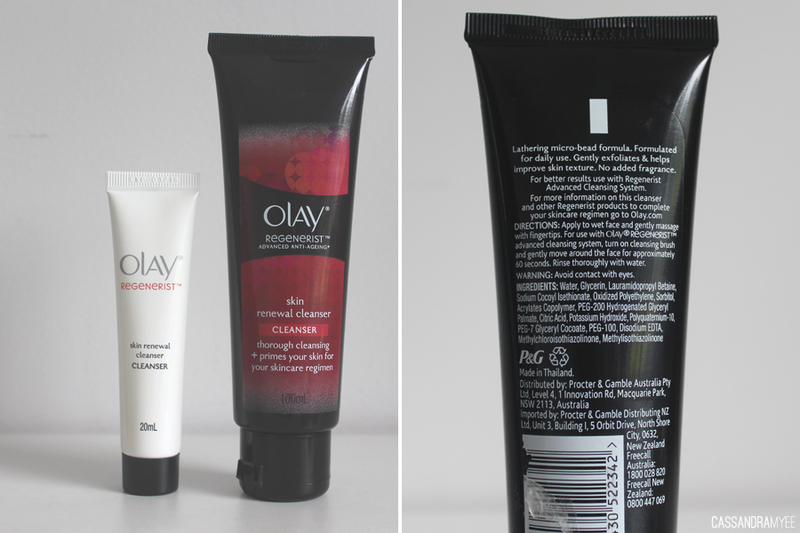 I hadn't used any Olay skincare products, but I have been using this cleanser nearly every night with the brush. It has quite a thick consistency with tiny, gritty particles that help to exfoliate the skin even deeper and it is a great cleanser. The whole kit is worth NZD $34.95, but you can often get it on sale at supermarkets or in conjunction with some other deals at Farmers for example. For the price it is such a bargain, I've definitely got my money's worth from it and I will continue to use it for as long as possible. You can also buy replacement brush heads, for around $10 I believe, but even after 4 months of use the original brush head it came with is still looking good as new. Although I have nothing to really compare this electric cleansing system with, I have had great results with mine, especially with continued use. I would sincerely recommend it to anyone who gets breakouts, whether they are severe or only a couple, you can't go wrong with deep cleaning your skin and removing dirt and impurities that can build up. Do you use a cleansing system like this? Or, do you have this particular one from Olay? I'd love to know your thoughts and opinions on it.